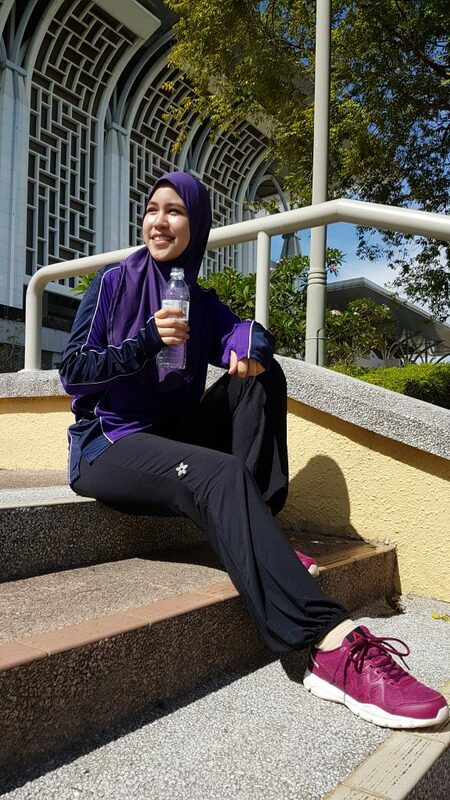 My name is Nura, I am a physical education and swimming teacher. 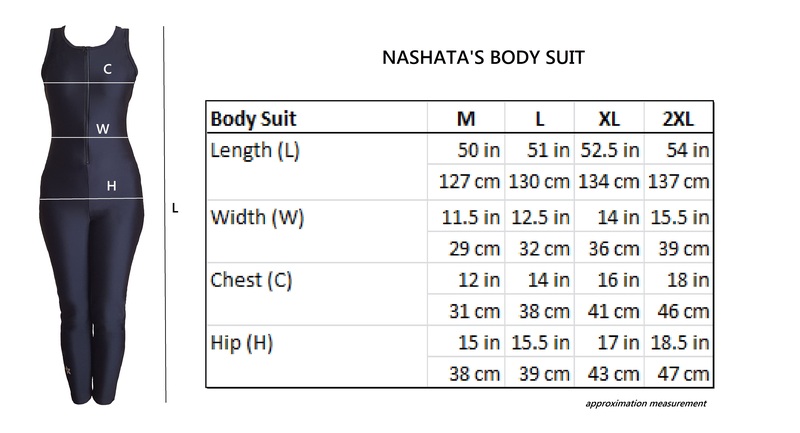 It is a little hard for me to find the perfect swim wear but Nashata’s swim wear has helped me do my job with less hassle. 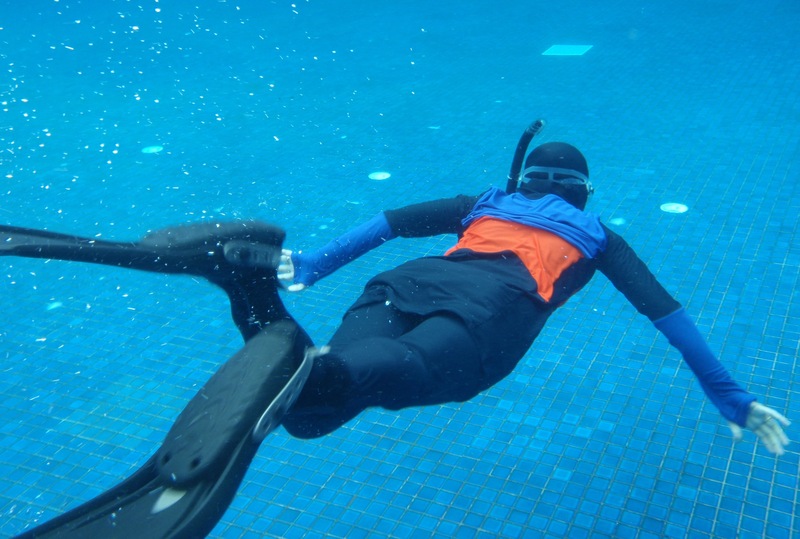 I work with kids and my work is very sensitive, I have to be vigilant at all times and I have to be prepared for anything that might happen in the swimming pool. 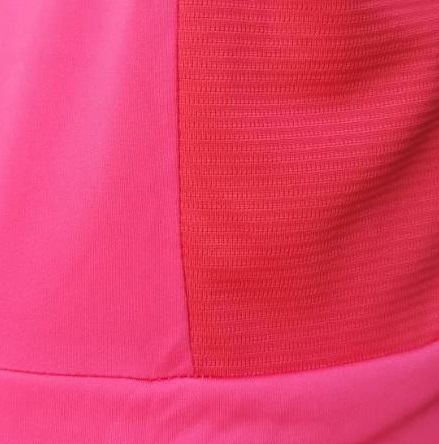 My swim wear needs to be light but covering. It also needs to be heavy duty but not something that will be uncomfortable. This swim wear have given me everything I need. I have not had issues with feeling that something is dragging me in the water. 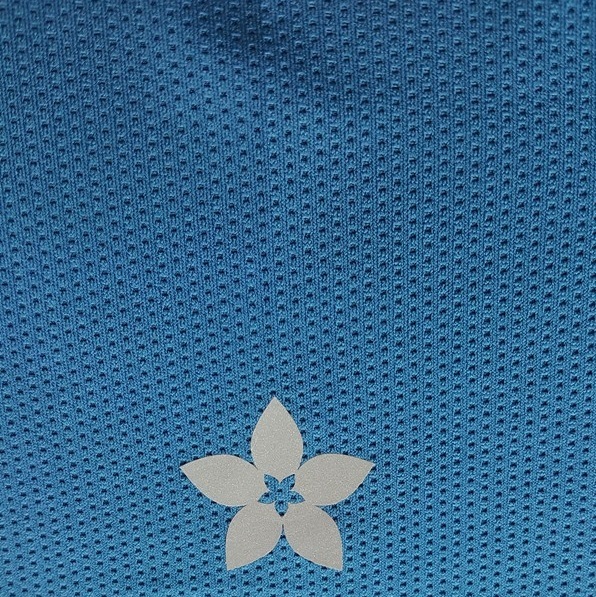 I owned this swim wear for about a year and it is still holding up well. 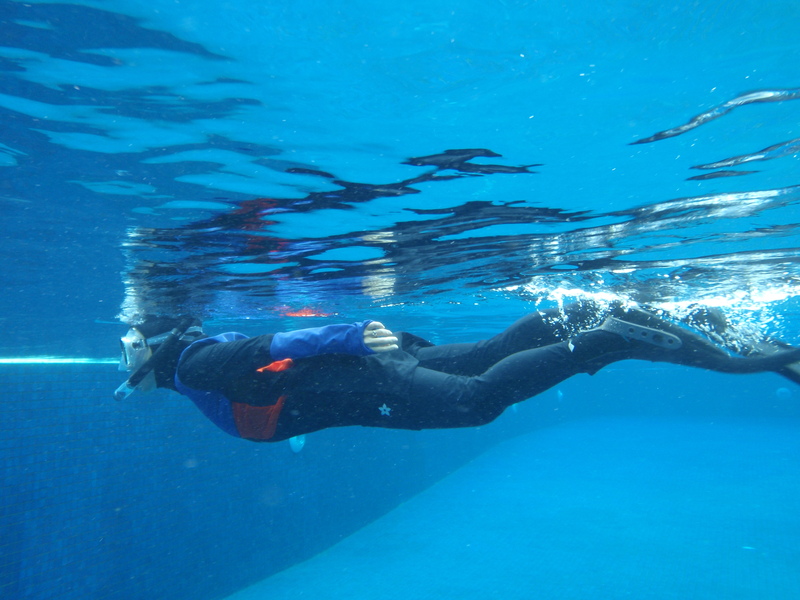 I am in the swimming pool at least 3 days a week with my students. 2016 is leaving us soon with unforgettable memories; the medals and mileages we have earned, weight and body fat we have trimmed along the way. 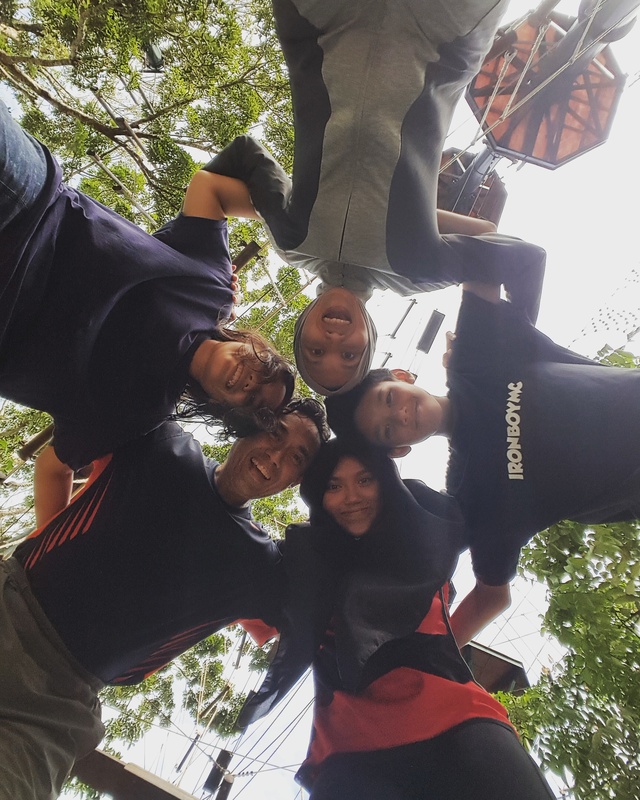 For some of us, what brings us joy is when we make new friends and spend quality time having active lifestyles with family and friends. After all, fitness is a journey, not a destination. With all the reflections and lessons learned, I would like to congratulate you for the achievements and thank you for being with us. Alhamdulillah, 2016 has been a great year for fit hijabi and Nashata. 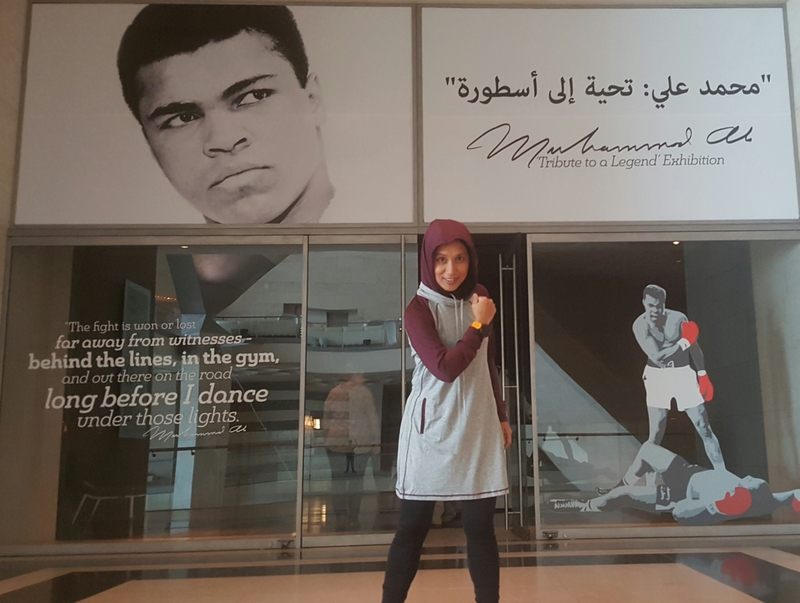 This August, 33 Olympians in hijab competed strong at Rio 2016. 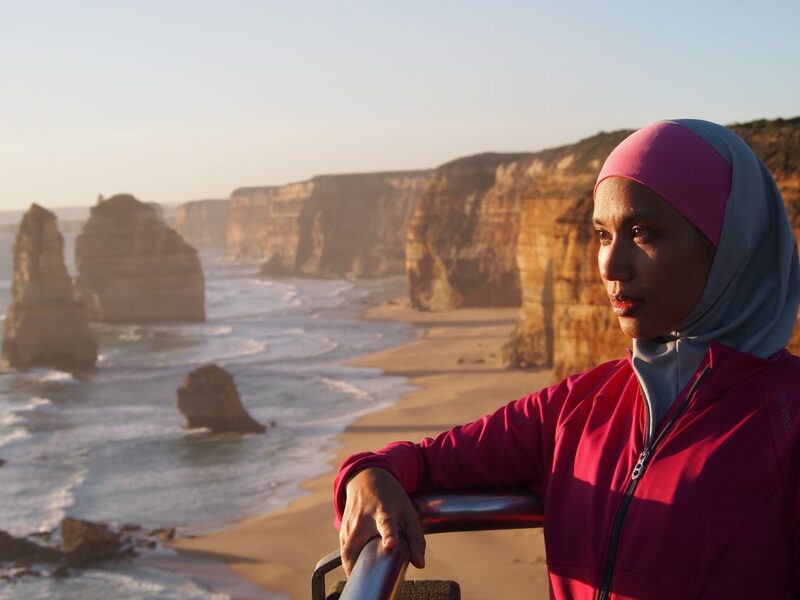 We also featured top 11 yogini in hijabi across the globe who inspire ordinary ladies like me to keep trying to do the extraordinary. 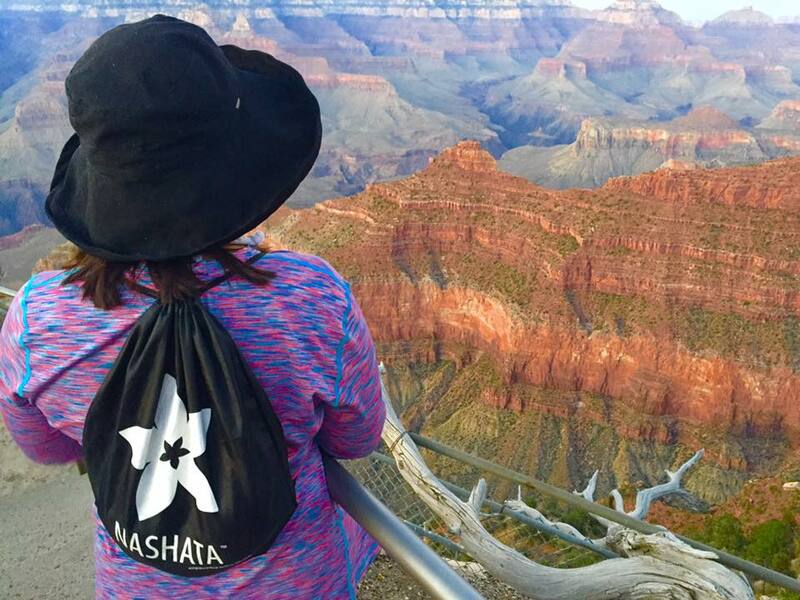 At Nashata, we work from dusk to dawn and happy to have released many innovative designs and products that have helped our sisters to enjoy an active lifestyle. 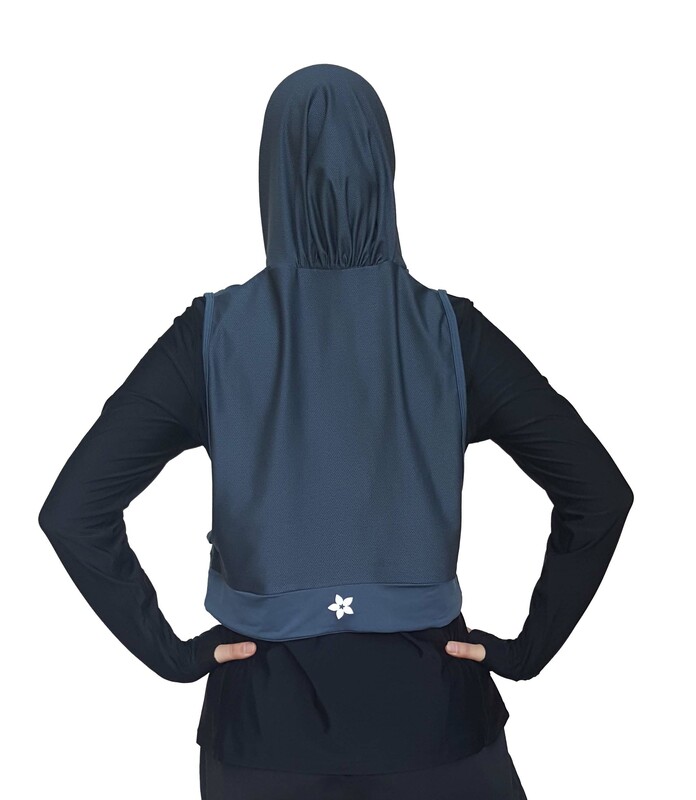 The Nashata Hooda Sports Hijab, Modest Yoga Suit, Azza Toplectic and Nashata Sibaha Swimwear are the main innovative activewear that not only modest but help our sister to improve performance. The final release for 2016 is the Dusk collection of the all-time-favourite Riada Nahl and Riada Peplum. We are excited with 2017 and have more exciting plans #ForABetter2017. Starting January 2017, customers in Malaysia can visit our gallery in Cyberjaya. 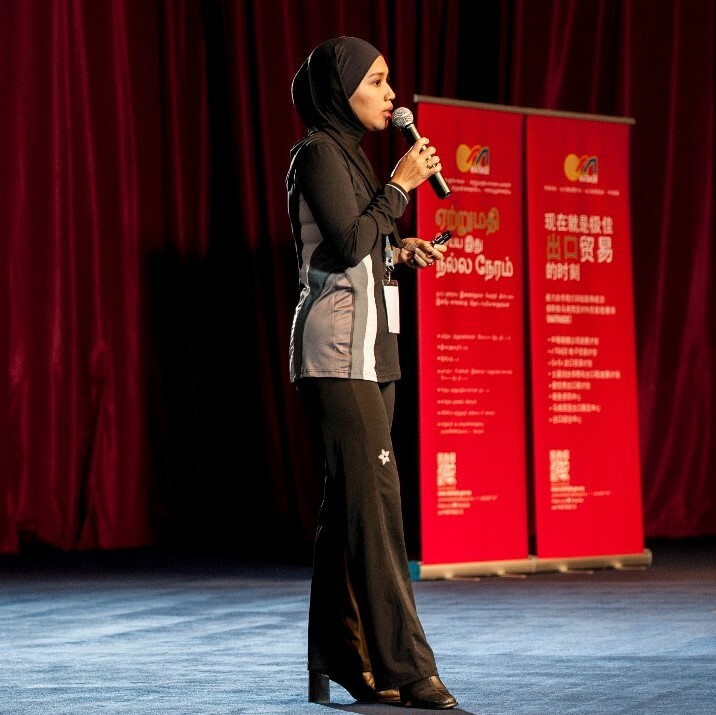 It is at K-12, Block K, Jalan GC-14, Glomac Cyberjaya, Cyber 4, 63000 Cyberjaya, Selangor. We operate every Monday – Friday, 10am-7pm, except public holiday. 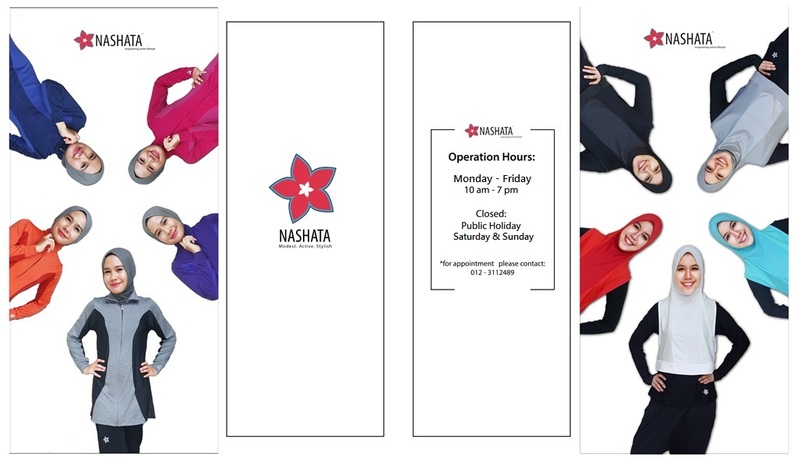 Follow our store-based instagram for a better shopping experience at @nashatastore. 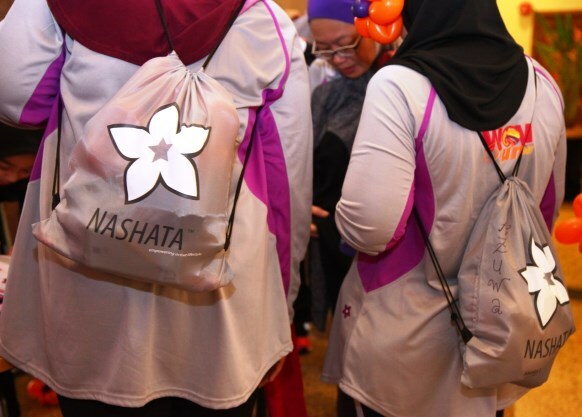 We will continue to share exciting and inspiring moments of our modest sisters having active lifestyles at nashatadotcom instagram. 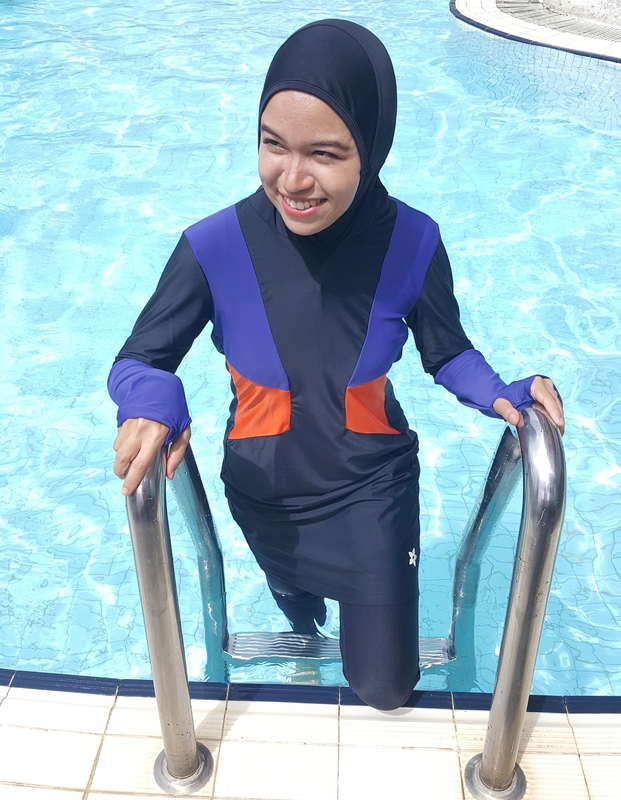 We have more innovative products in the pipeline for you – swimwear, performance wear and some special products for our sisters who have been sharing with us your concerns. Please continue to have conversations with us. You can email me at eliza@nashata.com. Giving more TLC to our ever-supportive customers. We heart ❤ you! So please subscribe to our newsletter and follow our social media sites for updates. facebook, nashatastore, nashatadotcom and twitter. We don’t want you to miss special deals for our valuable customers. 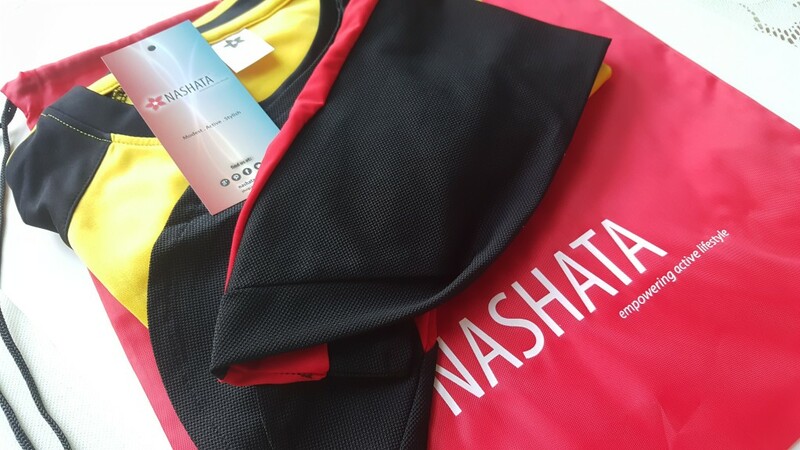 On that note, to kick-start the year, we are offering 10% discount when you shop at nashata.com till the 31st January 2017. To get the discount, use vouchercode ForABetter2017 when you check out. So what are your fitness goals #ForaBetter2017? As for me, these are the 3 keys ones. 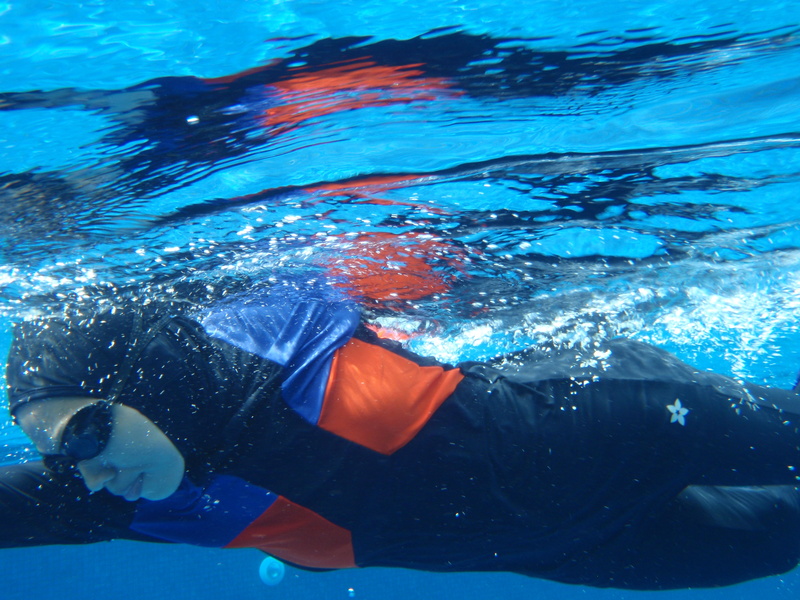 I want to be able to swim and run faster and longer. 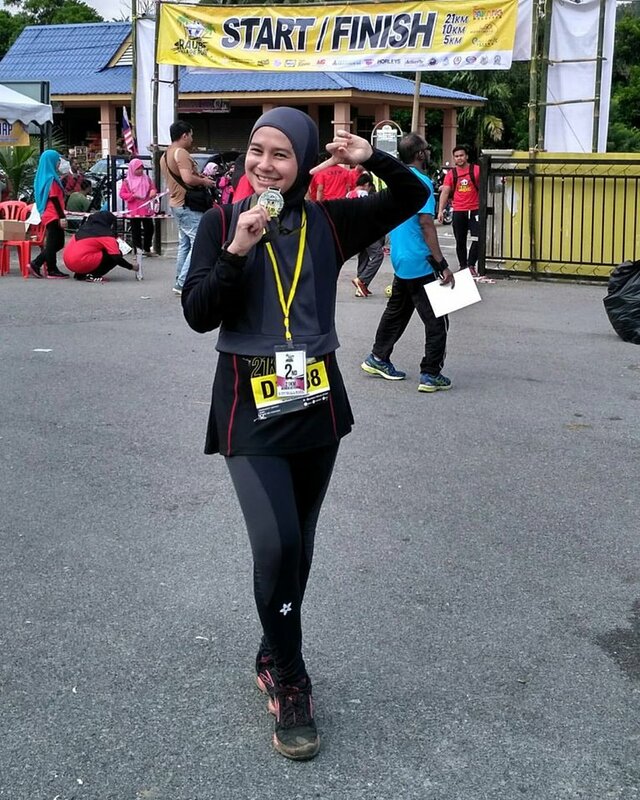 My average speed is 6.5 min/km and I would like to improve to 6 min/km for 5km run. Reduce body fat percentage from acceptable level to fitness level. This seems to be a hard thing to do. More info on body fat here. Especially my abdomen and thigh areas. The challenge is to find time. I get an hour in the morning before I start work. 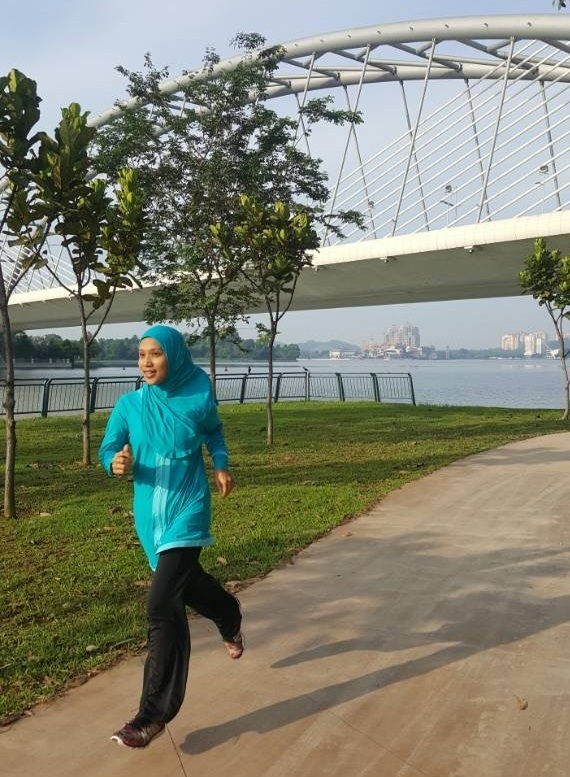 I take turns with my husband to send kids to school, so that we get our ME-time to exercise. 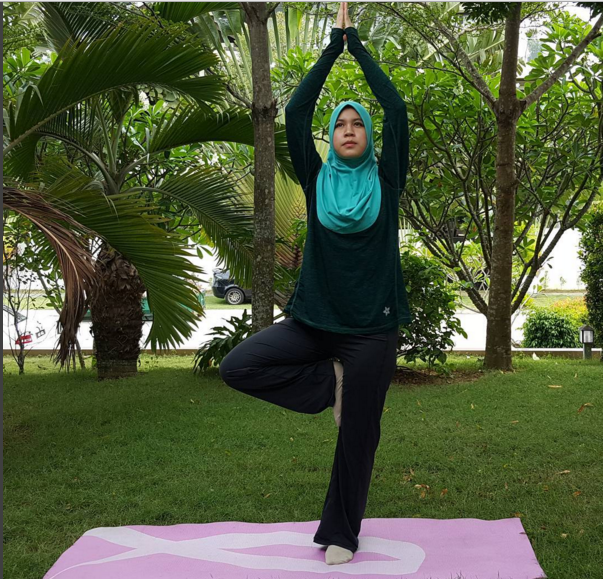 Yoga helps improve my strength and flexibility while swimming improves my stamina. I tend to do yoga more often as it is less time consuming. It is a fun thing to do. 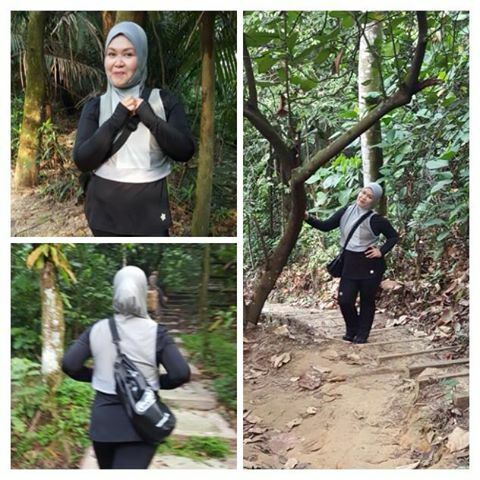 I take my family climb a hill, run, cycle or any activities other feels like trying out. And the list goes on. Encourage others to stay fit, run with them or ask them to run with you. I do that with family members. My friends are way ahead than me and they push me forward. Share tips and tricks with family and friends. 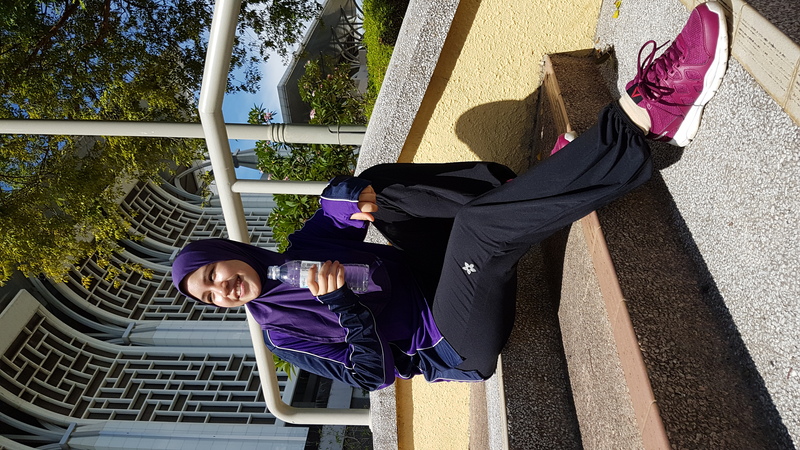 For example, I add an additional soles in my running shoes to support my knees and legs to avoid knee injury and I do share it with my friends with knee pain. Purchase healthy food for your office like apples and banana, and dine at restaurants that serve healthier options. 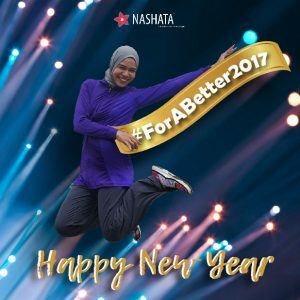 Do share your fitness goals with other on social media by adding #ForABetter2017 & #nashata. 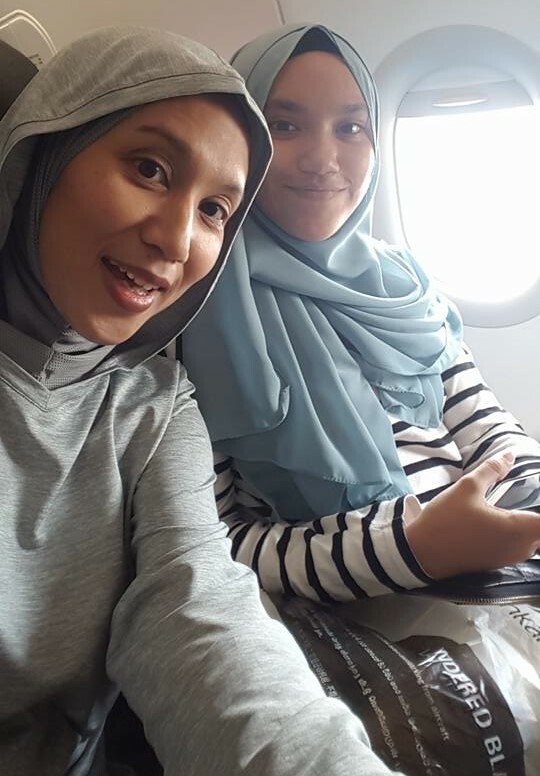 We are giving away special vouchers worth RM100 each for best posts. As the year 2016 winds down, let’s reward ourselves for all the effort and let’s look forward and hope #ForABetter2017. InsyaAllah. We heard you girls! 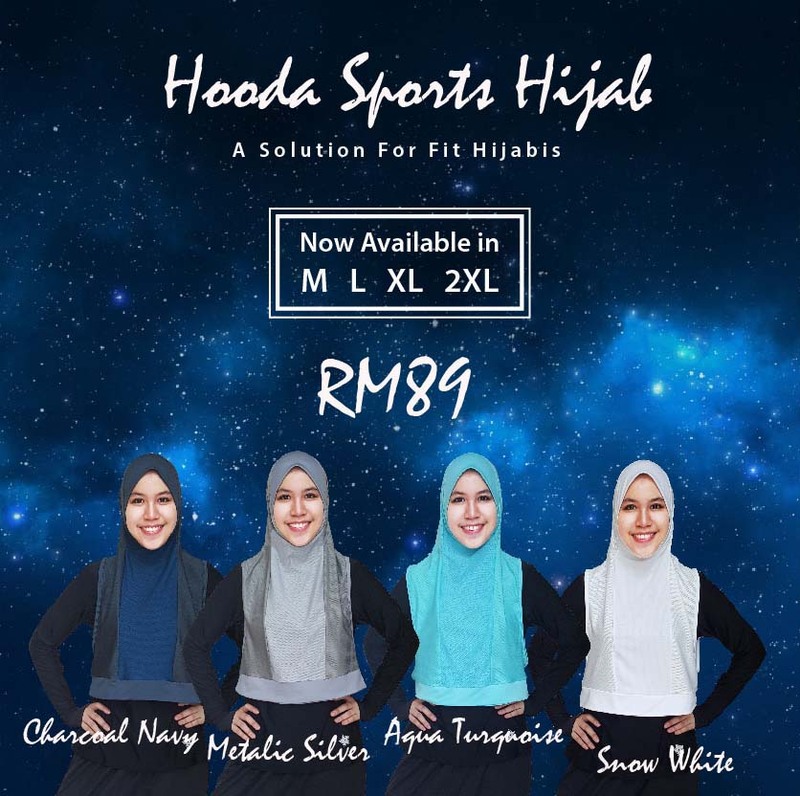 Now Hooda Sports Hijab is all revamped with more colors, more sizes and facelifts. 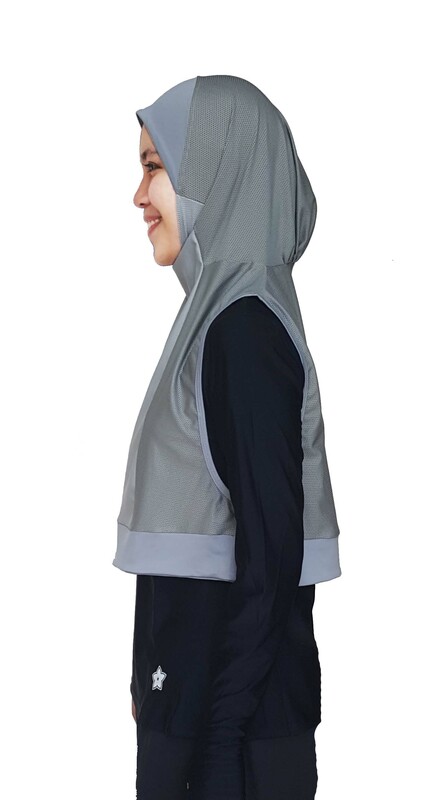 Now, achieve your fitness full potential in Hooda Sports Hijab. Put no limits to your workout! 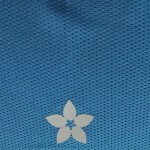 Now there are Metallic Silver & Aqua Turquoise in the Hooda Sports Hijab collection. 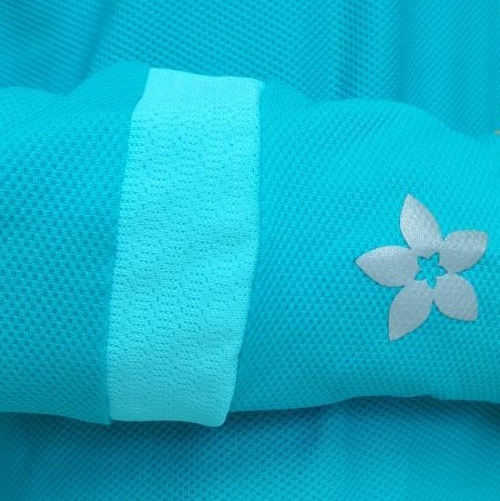 The Metallic Silver offers neutral & easy to match option while the bright Aqua Turquoise offers more safety to your workout. 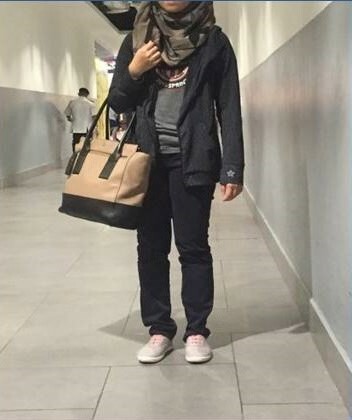 Plus, you get to be spotted easily in a crowd with it on. 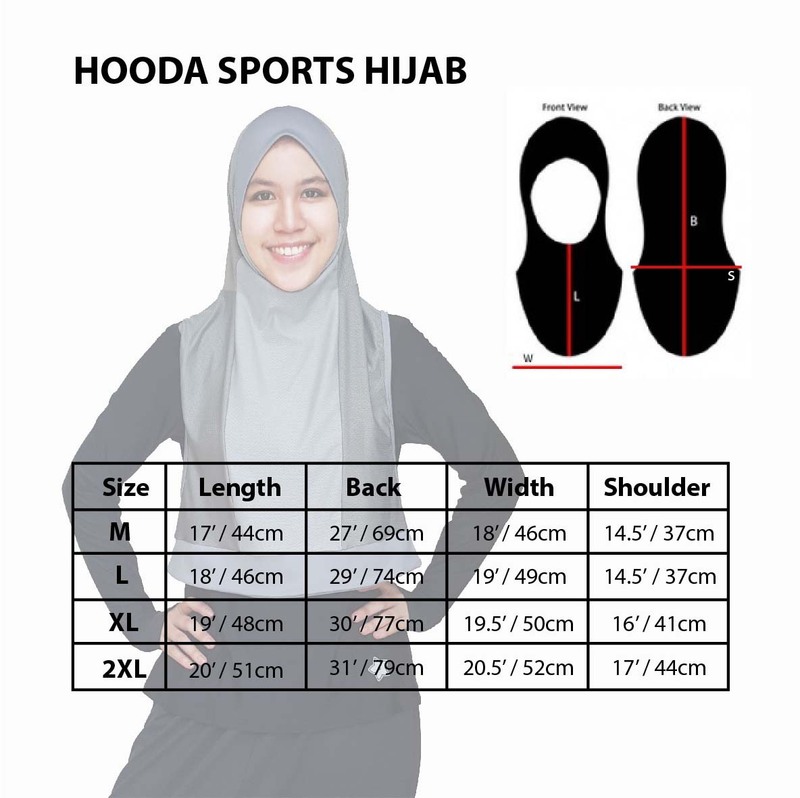 We introduced Hooda Sports Hijab in two initial sizes (M & L) last month and now we added two more sizes to suit tall ladies. 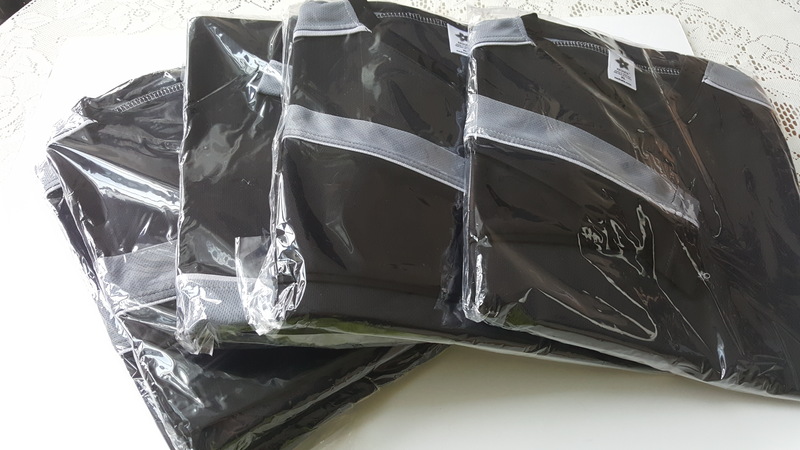 Nashata reflective logo is now on the back to give you better protection for night use. This is especially useful for cyclists and hikers who train or race in the same direction of traffic. 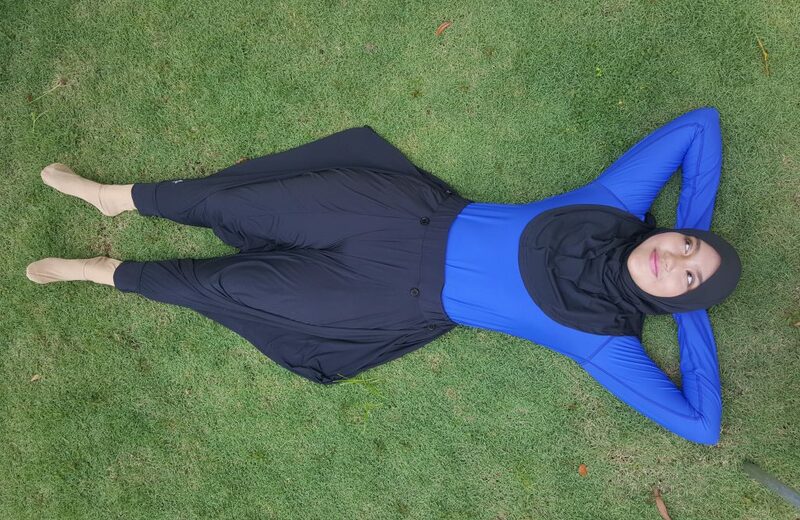 No matter what size you are, the hijab now looks balance front and back. The awning has been altered for a better fit while working out. 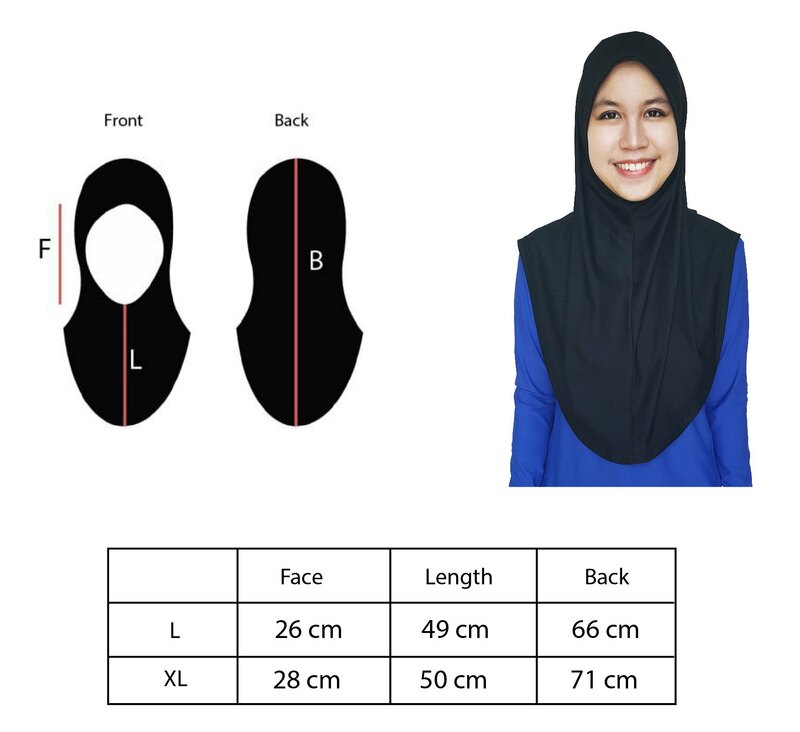 The design is flat on the forehead and the is no space in between your forehead and the hijab. 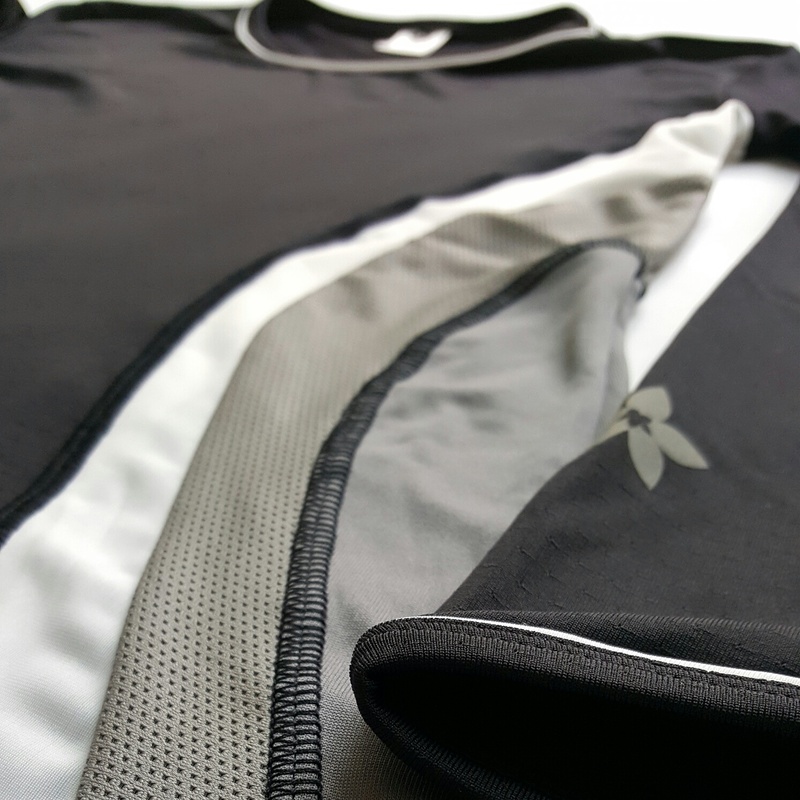 The Leia Collection is about simplicity in fitness, where we feature only 3 colors; black, grey and white. 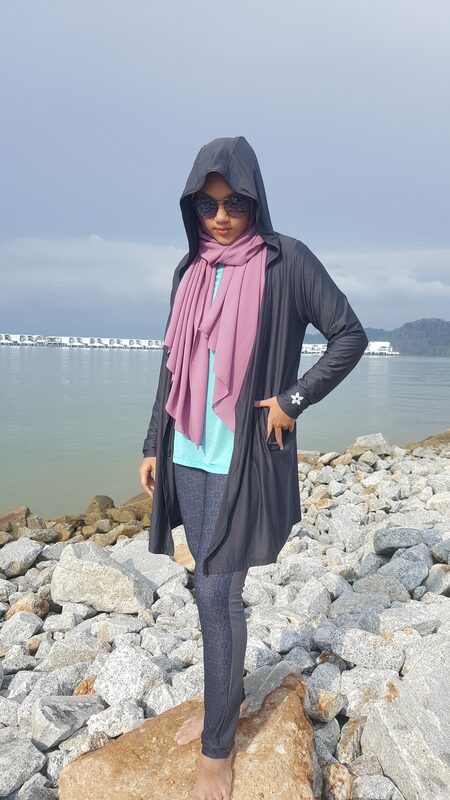 The designs are about giving confidence, balance and strength for you – while working out! 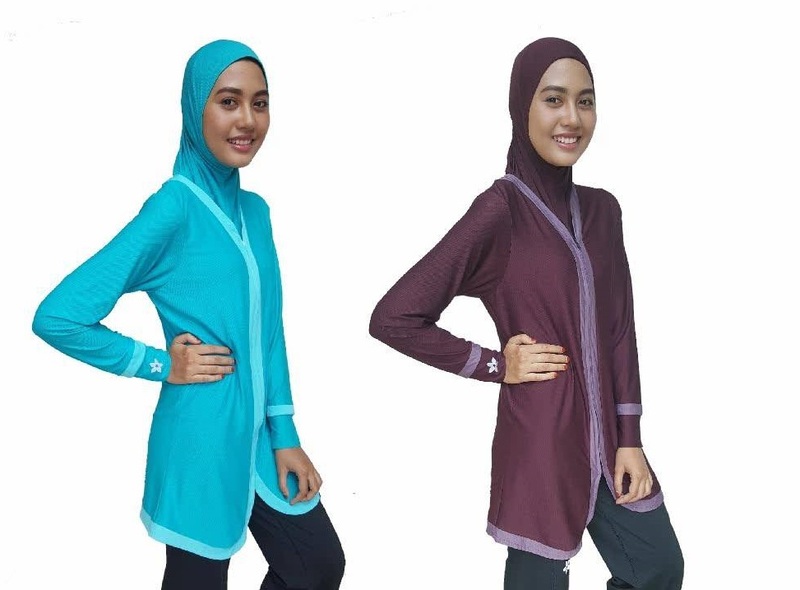 You can never get a sports top all elegant in four shades like Leia Ultra! 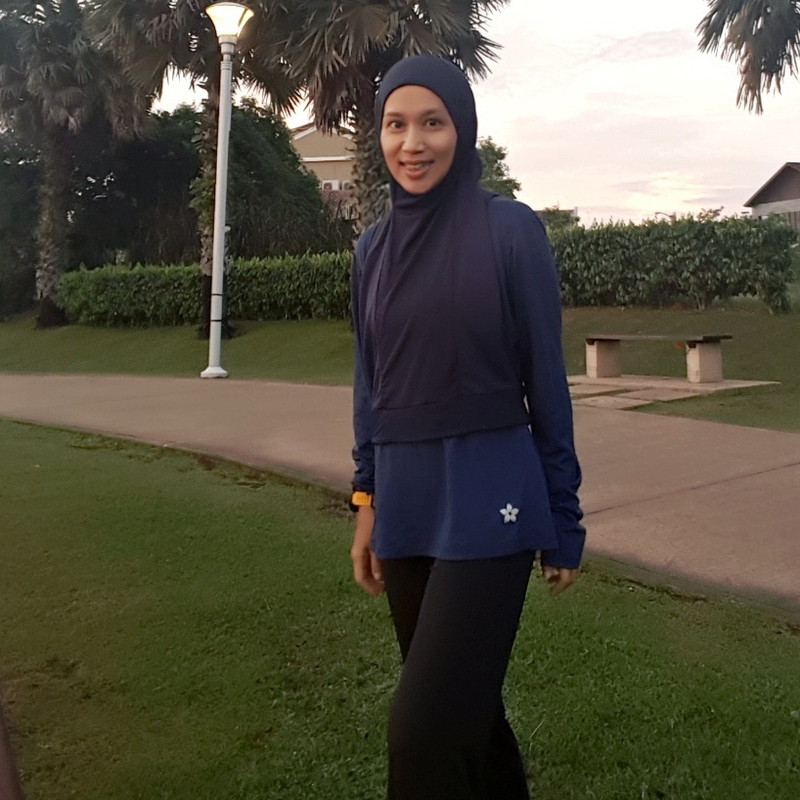 This limited edition, round neck, long sleeves classy top is specially designed to boost your confidence while working out. 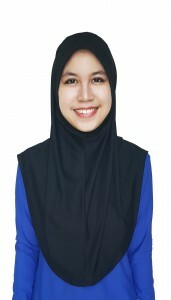 Priced at RM109, we are offering the Leia for only RM99 until 15 October.